Paleoanthropologist at the University of Michigan; author of Paleoanthropology; coauthor of Race And Human Evolution. "The major change through the prehistory of our species is the evolution of our brain, the development of a social organ that makes human culture (and language) part of our biology. My question is whether we can ever transcend the consequences and free ourselves of the biological limitations that have been imposed in the process." Research paleoanthropologist at The Natural History Museum, London; co-author of In Search Of The Neanderthals; African Exodus. "What was the key factor in the success of Homo sapiens compared with other human species such as the Neanderthals?" Cambridge biologist and writer; author of Last Animals At The Zoo; The Time Before History. 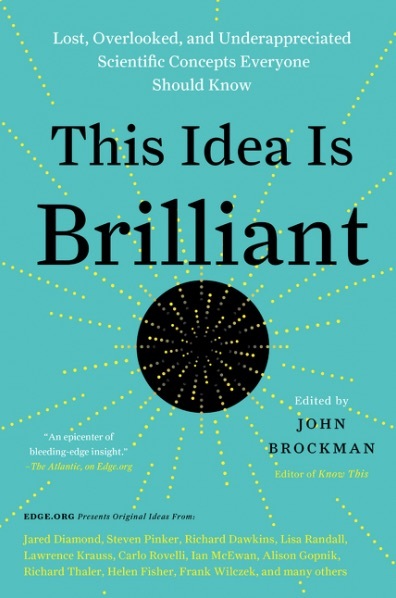 "How predictive is the much sought-after 'Theory of Everything' intended to be? Presumably it will show why the formation of fundamental particles was inevitable, and why these were bound to form into atoms, and presumably predict galaxies. But will it show that life was bound to appear? Or consciousness? How powerful will it be really ÷ or can it be? What is the Universe really capable of?" "What is religion? Is it necessary? Can we devise a religion for the 21st century and beyond that is plausible and yet avoids banality ÷ one that people see the need for? What would it be like?" Biologist at the Æ’cole Polytechnique, in Paris; author of Principles Of Biological Autonomy; coauthor of Autopoiesis And Cognition. "Why is our western civilization so reluctant to accept subjective, first-hand experience as fundamental data? In close association: why the reluctance to consider one's experience as a realm to be explored with a discipline just as rigorous as the one invented by science for material phenomena?" Australian science writer; author of Pythagoras' Trousers: God, Physics, And The Gender Wars. "What do we want from science?" "A chimpanzee cannot understand Bessel functions or the theory of black holes. Human forebrains are a few ounces bigger than a chimp's, and we can ask many more questions than a chimp. Are there facets of the universe we can never know? Are there questions we can't ask?" Author, Cyberia; Media Virus; Ecstasy Club; columnist for New York Times Syndicate and Time Digital. "Can human beings achieve spontaneous morality by opening ourselves further to some basic expression of nature, or must we create and adopt a set of moral guidelines?" "Is it more useful to theorize a new conception of self that emerges from the widespread adoption of networked technology, or to seek to problematize it?" "What is needed regarding the understanding of the mental process so that we will be able to produce thought computationally?" Writer and television producer; author of The Living Body; Skyscraper; 21St Century Jet. "Why does our 'humanness' keep getting in the way of rational decision-making?" Australian research scientist, broadcaster; author of Rogue Asteroids And Doomsday Comets. "Why are most individuals and all human societies grossly under-achieving their potentials?" "How does the brain represent the meaning of a sentence?" "How can the implicit beliefs that are imparted to us in childhood be 'reasoned with' in an educational context." Astronomer; author of The Cuckoo's Egg; Silicon Snake Oil. "How shall I teach my children?" Neurobiologist and psychologist at the University of Maryland; author of Quest For Laughter. "Do emotions contribute to intelligence, and if so, what are the implications for the development of a technology of 'affective computing?' "
Atmospheric scientist at Stanford; author of The Genesis Strategy; Laboratory Earth. "I often wonder÷sometimes despair÷whether it will be possible to solve long term, global problems(global warming being my current focus) until we can overcome collective denial, which in turn, may not become conscious until we grapple with personal myths. I question whether the eventual loss of half the other species on Earth will even be enough to overcome personal escapism that has gone collective÷what I sometimes think of a 'psychological fractal'. Perhaps that's not even a question, but it occupies my mind a lot." Director of the Virtual Worlds Group in the Microsoft Advanced Technology and Research Division. Danish science writer; author of The User Illusion (forthcoming in the U.S.). "How much of what we as persons can experience in life can we share with fellow human beings?" Royal Society Professor at King's College, Cambridge; author of Before The Beginning. "Can our ever-more-integrated society avoid becoming more vulnerable to high-tech extremists and terrorists?" Biochemist at New York University; author of Origins; The Human Blueprint. "Do exotic life forms, made of very different materials than those used by life on earth, occur elsewhere in the Universe?" Curator for Musee D'Art Moderne de la Ville de Paris and museum in progress, Vienna; chief editor of the magazine Point d'Ironie. Founder of Electric Minds, a webzine; author of Tools For Thought; Virtual Communities. 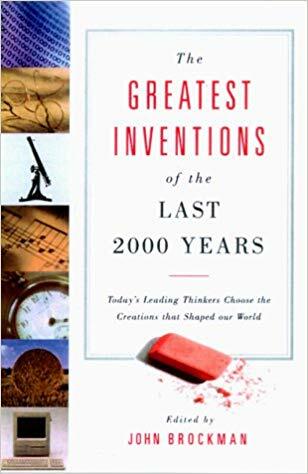 "Given what we know now about the origins, history, and impacts of technology, is it possible to design, deploy, and use technologies in ways that help humans be more human, instead of more like components in a machine?" "Does reality have real numbers?" Neurobiologist, The Open University; author Lifelines; The Making Of Memory. "How to ensure that we develop sciences and technologies that serve the people, are open to democratic scrutiny and which assist rather than hinder humans to live harmoniously with the rest of nature?" Theoretical physicist at Penn State; author of The Life Of The Cosmos. "Fundamentally, is the flow of time something real, or might our sense of time passing be just an illusion that hides the fact that what is real is only a vast collection of moments?" Intranet and extranet pioneer and engineer; President, Pantheon Interactive. "Which industries will shake out, or disappear in the new industrial revolution fomented by the advent of the world wide web, intranets, and extranets? How do we help those who are afraid of these new technologies to benefit from them, rather than be crushed by those who understand? Co-founder and Publisher of Wired. "Is there a happiness gene, and is it dominant?" Cognitive and social scientist at the Ecole Polytechnique in Paris; author of Rethinking Symbolism; On Anthropological Knowledge. "How to articulate the natural and the social sciences without being either driven or blocked by ideological agendas?" Psychologist at The New School for Social Research; author of Consciousness Regained; A History Of The Mind; Leaps Of Faith. "Why is music such a pleasure?" Physicist, Case Western Reserve Universe University; author of The Fifth Essence; Fear Of Physics; The Physics Of Star Trek. "Are the laws of physics a logical coherent whole, so that with any small change the entire framework would crumble? Or are there a continuum of possibilities, only one of which happens to have been selected for our observed universe?" "What will happen when the male, scientific, hierarchical, control-oriented Western culture that has dominated Western thought integrates with the emerging female, spiritual, holographic, relationship-oriented Eastern way of seeing?" Astrophysicist at the Institute for Advanced Study; President of the Kira Institute. "What will be the framework for a scientific study of the subject-object split?" Cognitive scientist, University of California, Berkeley; coauthor of Metaphors We Live ; author of Women, Fire, And Dangerous Things. "How do neural computation principles and the neural networks of our brains, together with the relevant aspects of experience, account for the details of all human concepts, especially their structure, how they are learned, and how they are used in thought and expressed in language?" Founder of Animatrix, an interactive design company; currently teaches interactive design at Stanford. "How come we don't understand how photosynthesis works?" Evolutionary psychologist at Harvard; author of The Evolution Of Communication. "It is now possible for functional parts of one animal's brain to be transplanted into another's. A tasty question for future research, one with volatile biomedical and ethical implications, is whether the memories and goals and desires of one animal can be transplanted as well?" Attorney; founder of Counsel Connect; Co-Director, Cyberspace Law Institute. "What are the implications of the science of complex adaptive systems for the nature of law and of legal personhood?" "How can minds, lives, and relationships be enhanced by information systems in unforeseen ways?" "How can scientific and technological culture be articulated so that fewer people are driven to embrace superstitions, and so that technology is more likely to be designed and judged on humanistic terms?" Freelance writer, and a contributing editor at Wired and Newsweek International. "In 500 years, how will the phenotypic, genotypic and physical spaces occupied by life descended from that on earth have changed?" "How best can we combine democracy and expertise to make the living conditions of the people of earth, especially those currently in hardship, better and more equitable?" Mathematician; author of What Is Mathematics, Really? "Is there a way to enlarge our separate tribal loyalties, to include all our fellow humans?" Writer, The New York Times; author of Fire In The Mind; Machinery Of The Mind. "If humanity ever encounters an alien intelligence, will we be able to communicate with it ÷ or even realize that it is there? Sociologist at the University of Chicago; author of The Social Organization Of Sexuality. "With the ever-growing dominance of corporate forms of control in everyday social life, how do we reconcile our notions of personal liberty and autonomy rooted in Enlightenment political thought?" Psychiatrist at the University of Michigan; coauthor of Why We Get Sick. "How does the capacity for low mood give a selective advantage?" Computer scientist; V-P of R&D at the Walt Disney Company author of How Computers Think (forthcoming). Computer scientist; founder: Wide Area Information Servers Inc.; The Internet Archive; Alexa. "What happens when a the library of human knowledge can process what it knows and provide advice? In other words what happens when the Library of Alexandria, Computing, and the Oracle at Delphi merge?" Physicist at MIT, who works on problems having to do with information and complex systems. "'What is the question I am asking myself?' ÷ After contemplating this for hours the only honest answer I could come up with was, 'What is the question I am asking myself?'" Computer Scientist at the University of Michigan; author of Hidden Order: How Adaptation Builds Complexity; Emergence. "Can we use our current technology to bring C. P. Snow's two cultures closer together? For example, could we produce a vision-oriented, computer-based version of the cross-cultural artifact envisioned in Hermann Hesse's Das Glasperlenspiel?" Biologist at the Santa Fe Institute; author of Origins Of Order; At Home In The Universe. "What must a physical system be such that it can act on its own in an environment." Editor emeritus of Nature; author of The Doomsday Syndrome; What Remains To Be Discovered (forthcoming). 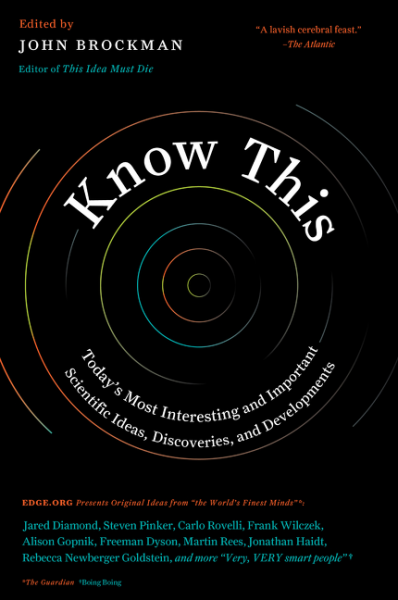 "How can we know when and what we do not know?" Science writer; author of The End Of Science. "Does anyone who is not a fool or fundamentalist still believe in utopia?" Executive editor, Wired; author of Out Of Control. Technology reporter, The New York Times; coauthor, Takedown. "Do new computing technologies create or destroy jobs?" Mathematician; author of Goedel's Theorems; A Workbook On Formalization. "Why and how do we jump to conclusions in mathematics?" Electrical engineer at USC; author of Fuzzy Thinking; Nanotime. "Do we or even can we know the joint multi-variable probability density function (f(x1, ... , xn)) that describes any realworld event?" 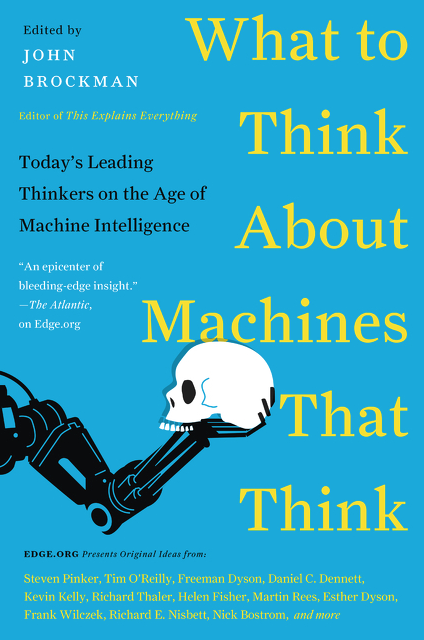 (McCorduck:) Writer; author of Machines Who Think; coauthor of The Futures Of Women. (Traub:) Computer scientist at Columbia; author of Complexity And Information (forthcoming). "When posterity looks back on the 20th Century from the perspective of a hundred years, what will they see as our greatest successes and worst follies?" President, Edventures Holdings, Inc; publisher of Release 1.0 Newsletter; author of Release 2.0. "What makes a soul? And if machines ever have souls, what will be the equivalent of psychoactive drugs? of pain? of the physical / emotional high I get from having a clean office?" "Is there such a thing as narrative complexity?" Psychologist at Harvard; author of Frames Of Mind; The Mind's New Science; Extraordinary Minds. "However appropriate it may be for the economy, the 'market model' is a grossly inadequate model for the rest of human society. With the decline of religious conviction and the slow pace of changes in the legal code, how can we nurture persons and institutions that can resist a purely market orientation in all spheres of living?" Neuroscientist, University of Arizona; coeditor of Toward A Science Of Consciousness. "Are life and consciousness purely emergent phenomena, or subtly connected to a fundamental level of the universe?" Physicist, Institute for Advanced Study; author of Disturbing The Universe; From Eros To Gaia. "The best questions were asked long ago. For example, Fermi's question, 'Where are they? ', and Blake's question, 'How do you know but ev'ry bird that cuts the airy way is an immense world of delight, clos'd by your senses five?' My question is, 'What goes on inside the head of a baby?' "
"Is 'self' necessary to life?" "Is a sense of 'self' necessary to consciousness?" "What would a consciousness without a sense of 'self' be like?" Computer scientist at Yale; author of Mirror Worlds; Drawing Life. "When will the nation's leading intellectuals come clean & admit that Biblical doctrine (on women, nature, homosexuality, the absolute nature of moral truth and lots of other topics) makes them cringe and they are henceforth NOT Jews and NOT Christians, and the hell with old time religion?" "The main reason I have not sent you a question is that I can not think of one worth sending. So maybe my appropriate question is 'What question should I ask?' The one I wish I could identify would be of great intellectual or practical interest, and I (or someone) would have some hope of solving it. Peter Medawar once defined science as 'the art of the soluble'. This is an example of a definition that may be formally correct but does not help anyone trying to find out what science is, but it makes a good point. For a problem to be scientifically important it has to be soluble. How many angels can dance on a pinhead may be a problem of great interest to some people, but it is not soluble." Nobel laureate physicist at the Santa Fe Institute; author of The Quark And The Jaguar. "Is superstring theory (or M-theory, as it has become) the long-sought unified theory of all the elementary particles and forces of nature?" "How can we improve our reward system for excellence in filtering, interpreting, and synthesizing the vast body of so-called information with which we are deluged." "What is the evolutionary advantage of the universality of mysticism in human societies? could it have played a vital role when populations were small, and widely dispersed, but now is outdated for modern global societies?" "If tragedy + time = comedy, what is the formula for equally therapeutic music? Do (Blues) musicians reach a third person perspective similar to that found in meditation, mind-altering drugs, and genius?" EFF (Electronic Frontier Foundation) Staff Counsel. "How can we teach each other to embrace pluralism, and to trust each other with the new tools that promote privacy and freedom of speech?" "We are hurtling toward an immersive, networked virtual reality, driven by two unstoppable trends ÷ ever faster chips, and the global compulsion to be connected via the Internet. This 'Second Web' will open new territories for imagination and social interaction, unfettered by the real world's geography, physics, or time. On the wall of this new cave, what will humans dream to paint?" "Why do people believe in things for which there is no evidence and would it be a mistake to try and persuade them not to?" "Can science survive the sell-out to technology and the corporate sector?" Professor, Mathematical Behavioral Sciences Dept., University Of California, Irvine. "Why are decentralized processes ubiquitous in nature and society and why are they so poorly understood that people will sacrifice their autonomy and freedom for authoritarian, centralized solutions (gods, governments, and gurus) to personal and social problems?" Leading authority in the field of Russian Aleut kayaks; author of Baidarka; Darwin Among The Machines. "Why not trees in the oceans?" Paleontologist and Curator at The American Museum of Natural History; author of The High Table; Dominion. "Will we find the will and the way to limit our population growth before the Biosphere does it for us?" Brazilian physicist, Dartmouth; author of The Dancing Universe. "At what point a complex organic macro-structure becomes 'alive' ?" "What do collapses of past societies teach us about our own future?" "Can we learn to die?" Evolutionary biologist at Amherst; author of Evolution Of Infectious Disease. "As biological and traditional forms of cultural evolution are superseded by electronic (or post-electronic) evolution, what will be the differentially propagating "units" and the outcome of the natural selection among them?" Cognitive scientist at Boston University; author of Studies Of Mind And Brain; The Adaptive Brain. "How do intelligent beings learn to adapt successfully on their own to a rapidly changing world without forgetting what they already know?" Columnist for Pc Magazine; Pc/Computing, Boardwatch. "Is psychic phenomenon just wishful thinking and can we ever prove it exists or doesn't exist using scientific methodology." "What are the powers, and the limits, of human intuition?" Retired Director of the American Institute of Physics; author of The World Of Elementary Particles. "Will the 'theory of everything' be a theory of principles, not particles? Will it invoke order from above, not below?" Physicist at MIT; author of The Inflationary Universe. "It appears likely that the universe that we can observe is just one of an infinity of 'pocket universes,' which are continually being created by a process called eternal inflation. These pocket universes are believed to split off from a region of 'false vacuum', which expands so quickly that its volume increases forever, despite the loss of volume to the formation of pocket universes. The problem is to find a reliable way to extract predictions from this picture. The properties of the pocket universes can vary, and with an infinity of trials essentially anything will happen an infinite number of times. We need to learn how to distinguish the probable from the improbable, but so far such a probability calculation has never been given a precise definition." Science writer for The New York Times; author of Natural Obsessions, The Beauty Of The Beastly. "Exactly how much of nature can we trash and burn and get away with it?" Computer scientist; director of MIT's AI Lab. "What is the mathematical essence that distinguishes living from non-living, so that we can engineer a transcendence across the current boundaries?" Physicist, University of Adelaide, Australia; author of The Mind Of God; Are We Alone. "What is information and where does it ultimately originate?" Mathematical physicist at University of California, Riverside. "To what extent can we achieve a more just society through the use of better economic indicators, and to what extent is our choice of economic indicators just a reificiation of the wishes of those who are already economically powerful?" Psychologist at University of Texas at Austin; author of The Evolution Of Desire. 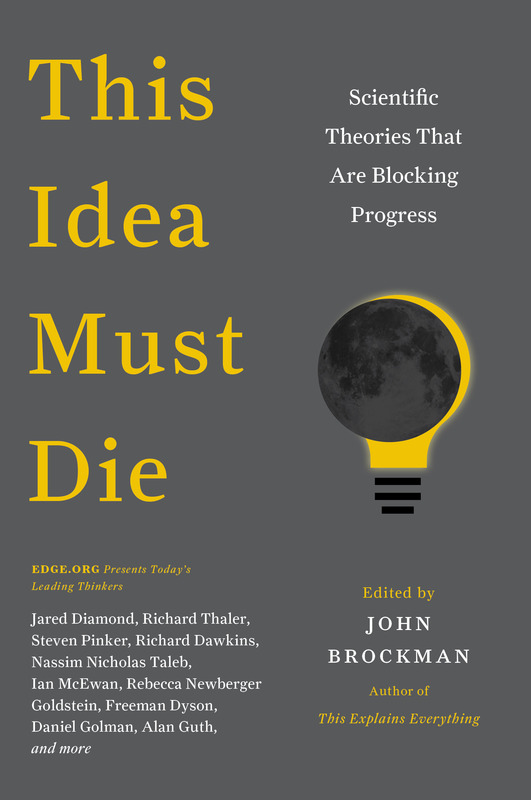 "Do humans have evolved homicide modules ÷ evolved psychological mechanisms specifically dedicated to killing other humans under certain contexts?" Evolutionary biologist, Oxford; author of River Out Of Eden; Climbing Mount Improbable. "What might a second specimen of the phenomenon that we call life look like?" "As a theoretical physicist, the interpretation of quantum mechanics and the nature of time are what occupy me most, but, as a mystified sentient being, I should like to ask the child's question: Are the most remarkable things in life ÷ sights, sounds, colors, tastes ÷ really just subjective epiphenomena with no role or significance in the 'objective' world?" "If Mosaic had never supported pictures (read: the Internet didn't become a commercial medium), what would I be doing right now?" Cognitive neuropsychologist, Institut National de la SantÅ½; author of The Number Sense. "How can we even begin to formulate the right questions about consciousness?" Co-founder, Electronic Frontier Foundation; a former lyricist for the Grateful Dead. "Will we ever generate enough bandwidth to convey prana?" Theoretical neurophysiologist, University of Washington; author of The Cerebral Code; How Brains Think. "How will minds expand, once we understand how the brain makes mind?" Philosopher, Tufts University; author of Darwin's Dangerous Idea; Kinds Of Minds. "How on earth does the brain manage its division of labor problem ÷ that is, how do the quite specialized bits manage to contribute something useful when they get 'recruited' by their neighbors to assist in currently dominant tasks (or is this 'recruitment' an illusion ÷ are they not helping but just complaining about the noise caused by their hyperactive neighbors)?" "Most human beings perform effortlessly a variety of tasks that are computationally extremely difficult (such as seeing, holding objects and understanding speech); but they are generally poor and vary enormously in tasks that are computationally easy (such as solving puzzles, doing mathematics and science). Given that the latter skills are apparently as biologically valuable as the former, does this disparity reveal a fundamental limitation of the human brain?" Cosmologist, Professor of Astronomy, University of Sussex, UK; author of Theories Of Everything; Pi In The Sky. "Is the Universe a great mechanism, a great computation, a great symmetry, a great accident, or a great thought?" "Is there enough information in the observable universe to identify the fundamental laws of Nature beyond all reasonable doubt?" "Are there other minds that think about us?" Physicist, Oxford University; author of The Fabric Of Reality. "Throughout its history, the scientific community has shown great integrity in resisting the onslaught of anti-rationalism. How can it now be persuaded to show the same integrity in regard to scientism?" "Quantum mechanics was (and is) such a shock because it contradicts beliefs about physical reality that we didn't even know we had, beliefs so deeply embedded in the language of everyday speech that their contradictions seem not so much false as simply nonsensical. When we contact alien intelligences, will the effect on our ideas of mental reality be as profound as those of quantum mechanics on our ideas of physical reality. Anthropologist, George Mason University; author Composing A Life; Peripheral Visions. "How can we build a new ethics of respect for life that goes beyond individual survival to include the necessity of death, the preservation of the environment, and our current and developing scientific knowledge?" Biologist and BBC Radio Four broadcaster; author of The Seed Savers Handbook. "When will we learn to ask 'And then what' as a matter of course?" "Is a greater understanding of the way the brain works going to give me a new language to explain what it is like to be me? Will the words we use now one day seem as strange as the 'humours' we once used to explain the state of our bodies? And what will be the consequence if a scientist gains the power to know me better than I can know myself?" Physicist, University of California, Irvine; author of Timescape. "How can considering the longest time scales in human endeavor lead us to deal with the approaching crises of greenhouse warming and species diversity?" President and CEO of Learn Technologies Interactive in New York City, an interactive media developer and publisher. "If Gordon Moore was correct in his prediction that the amount of information storable on semiconductor chips would double every 18 months, then over time is time more or less valuable?" Nobel laureate physicist at Princeton. "What is the crucial distinction between inanimate matter and an entity which can act as an 'agent', manipulating the world on its own behalf; and how does that change happen?" Founder of The Whole Earth Catalog; author of How Buildings Learn. "How do we make long-term thinking automatic and common instead of difficult and rare?" Psychologist, University of Chicago; author of Flow: The Psychology Of Optimal Experience; Creativity. "How can we sustain young people's interest in asking questions such as these? Does the emphasis on personal success and security divert psychic energy from taking the long-term view on things? How long can we keep curiosity and creativity alive in an increasingly materialistic culture?"